Soak urad dal for 30 min. then grind into fine paste. 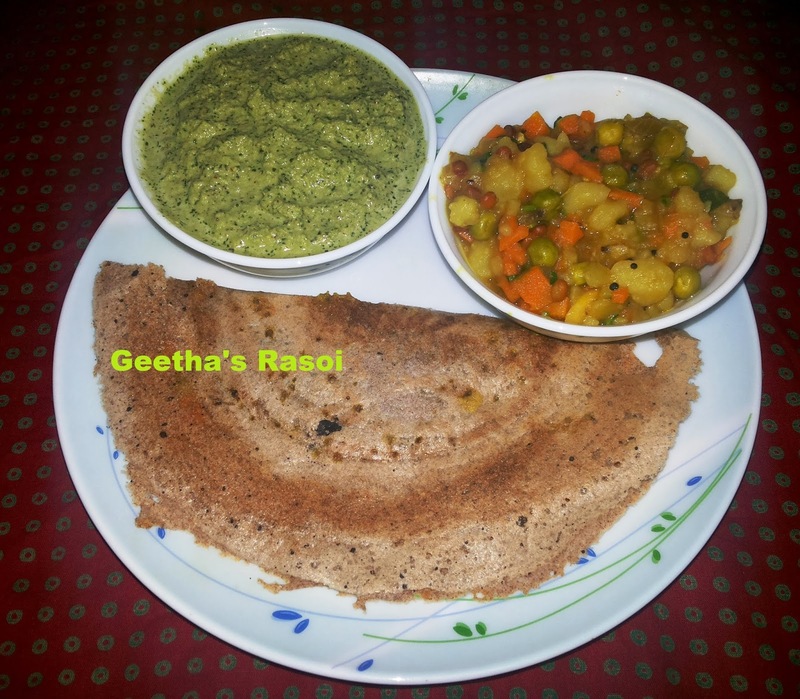 Take urad dal batter in a bowl add rice flour, raagi flour and salt mix well. If too thick add water and mix well. keep aside for 4 to 5 hour. Then prepare thin dosa from this batter, fry till crisp then add bhaji and serve hot with puttani chutney.